Burgas is Bulgaria's second biggest seaside city and the host of the largest port in the country. Just until about 5-6 years ago Burgas (also spelled Burgas) was mainly considered a pass-by point where people won't really stop and explore, but I am happy to say that things are slowly changing lately and now it is attracting more and more visitors (both tourists and dedicated photographers). The modern part of Burgas is not much different than any other large city - after all, the area is still considered industrial due to large Lukoil oil rephinery located there (the largest one in Eastern Europe actually) . The beauty of Burgas however should not be underestimated. For starters, regardless of which time during the year you are visiting you can enjoy the benefits of the closeness of Black sea by either spending your time on the beach or simply admiring the view during winter. But do not let this be the only thing you do in Burgas! The place is wonderfully located close to amazing destinations, which you should definitely explore. If you're staying in Burgas I strongly recommend you use our rent a car services - there is a lot to be explored around and if you don't take my advice you might end up being pretty bored there. Here are just some of the places one should visit around Burgas. Both Burgas and Varna have their own Sea Gardens which is actually a green heaven immediately next to the main city beach. The top part of Burgas's Sea Garden is overlooking the Old Beach and the Bridge and is dotted with various classical-style sculptures and busts of local and national notables. If you are not much into history, you can simply continue past the open air theater and enjoy some interesting modern pieces by native artists. The place is also a wonderful idea for lunch, cup of coffee or simply quiet time to relax or read a nice book on a bench. According to Wikipedia, Beglik Tash is a Thracian rock sanctuary located on the southern Black Sea coast of Bulgaria, a few kilometers north of the city of Primorsko, so if you are staying in Burgas you will definitely need to rent a car to get there. The place is a natural phenomenon of huge megaliths (rocks) carved and arranged by Thracians, used for religious ceremonies. If you know how to work your camera you'll find the place to be a real heaven! Do you want to feel as if you live in the 17th-18th century? If so, then definitely visit the Ravadinovo Castle. It is not ancient and will not overload you with history, but we can promise you an amazing time with spectacular views. Just about 30 minutes away from Burgas, the Ravadinovo Castle looks like something Disney has built for one of their movies. 40 minutes away from Burgas you can find Ancient City of Nessebar - an amazingly beautiful place that words can't describe. The place was originally a Thracian settlement and today it is one of UNESCO's World Heritage Centers. Here's what UNESCO's website says about it: "At the beginning of the 6th century BC, the city became a Greek colony. The city’s remains, which date mostly from the Hellenistic period, include the acropolis, a temple of Apollo, an agora (market) and a wall from the Thracian fortifications. Among other monuments, the Stara Mitropolia Basilica and the fortress date from the Middle Ages, when this was one of the most important Byzantine towns on the west coast of the Black Sea. Wooden houses built in the 19th century are typical of the Black Sea architecture of the period." What I have to say about the place is that it is the best choice possible for dinner or amazing photos at sunrise. If you're not much into crowds and tons of tourists, but still want to dive into history, then you can choose Sozopol's Old town. People often say that even there you can actually "smell history" all around. I can assure you that the only actual aroma you'll feel will be of the sea and it is so refreshing! Just about 30 minutes away from the center of Burgas, Sozopol has everything you need to really feel you're on a holiday! Feeling like a party animal? No problem - Sunny Beach (about 45min with a car away from Burgas) has everything you may wish for to have the party of your lifetime! As you probably already know this is one of the upcoming party centrals in Europe, where women have barely any clothes, music is loud, alcohol is still reasonably priced, and if you need to get sober - the beach is just 100 meters away from the clubs. Pomorie is still not very well developed and perhaps the only place in the area where you can find wild beaches. What you may not know about it is that Lake Pomorie is quite an impressive place! The bottom of the lake is covered with black mud rich in minerals and trace elements. The medicinal qualities of the liman mud that has been used since ancient times are precisely the reason why Pomorie is one of the preferred SPA and wellness resorts on the Bulgarian Black Sea Coast. Today the medicinal mud is used for treatment of skin diseases and musculoskeletal disorders. It also finds applications in cosmetics and beauty procedures. Since 2008 Burgas organizes an annual sand festival which is gaining more and more popularity every year. 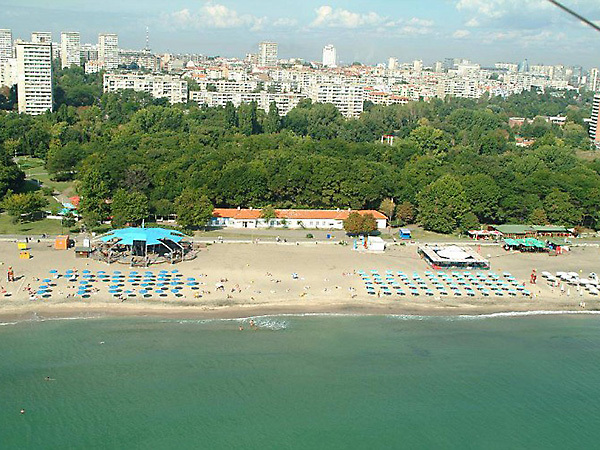 It is held in the Burgas Park “Ezero”, immediately next to the beach, and a visit to it will absolutely make your day! It is open for the entire month of July, so if you happen to be there, do not miss it! 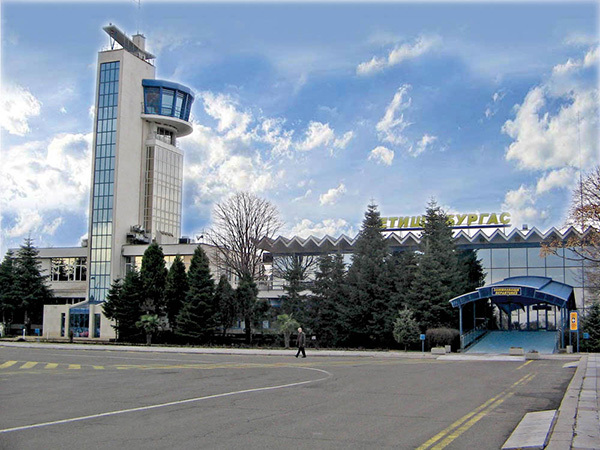 Burgas Airport is the - largest international airport in southeastern Bulgaria. It is located north of Burgas Sarafovo and 10 kilometers northeast of Burgas. This airport ranks second in passenger traffic in the country after Sofia airport and has the third longest runway in the Balkans. An interesting fact is that the French Engineers have laid the foundations of the Burgas airport. Now Burgas Airport has a new terminal. Construction of the new terminal is carried out between December 2011 and December 2013, and its capacity is 2.7 million passengers. Burgas Airport serves Southeast Bulgaria and offers convenient connections to key international airports. Burgas is an important business, trade, transport and tourist center and starting point for visiting the resorts and villas located on the southern coast, namely Sozopol, Nessebar, Ravda, Sunny Beach, Obzor, Primorsko, Kiten, Pomorie, Ahtopol and others. During the summer tourist season at the airport there are many charter flights and scheduled flights throughout the year. Burgas Airport has a huge contribution to the development of transport networks, tourism and trade in the region. Val & Kar Car Burgas constantly serves its customers at the airport. To rely on a service from our car rental company you have to make your reservation and to be confirmed by us at least 24 hours in advance, especially for the summer season it is better the reservation to be done much earlier. We maintain different categories of cars for rent to satisfy the demands of most customers. Our normal working hours in Burgas is from 9.00 hours to 18.00 hours. Sundays and national holidays - is not working. 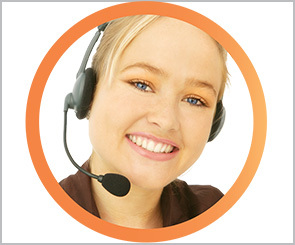 For permanent customer service we have secured our duty team working 24 hours a day. The mission of our duty team is to serve the customers who already use our service or have confirmed reservations. If you have questions, please refer to our website or write an email. We will respond as soon as possible . Any contract that begins or ends at the airport has a fee of 15 euros, regardless of the duration and type of the selected car. This fee is valid for all airports in Bulgaria.